Over the years, marketers have used different strategies to get close to customers. They have always applied attention seeking methods that appeal to a large audience, but now it seems the trend is changing. A lot of you must have noticed that businesses are now turning towards SMS marketing. Organizations want to get up close and personal so that they can build stronger customer relations. 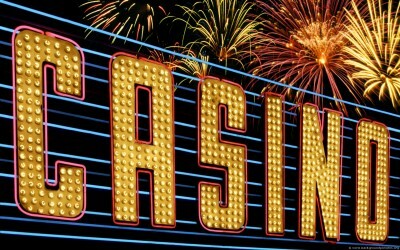 The casino industry is currently making full use of text message marketing. They are directly reaching out to customers and luring them in. But ever wonder why is SMS marketing so powerful for casinos? Let’s look at the key elements of this medium in more detail. SMS marketing is short and to the point. You won’t get to see any additional unwanted information. This way your message gets through easily and isn’t a distraction to the customer. On an average basis, a text message is read 95% of the time which just goes to show the power of this medium. Many marketing experts believe that SMS marketing is very engaging and interactive. It gives the customer a feeling of being involved. According to research, a text message is read within 4 minutes of being sent whereas an email has a 6 hour time period. This just goes to show the effectiveness of this medium. Cell phones are so popular nowadays that almost every individual has one. This means that text message marketing enables you to reach a global audience. Casino owners prefer this medium because they can not only interact with existing customers but also reach out to potential new ones. The scope and potential of this medium makes it very powerful. Rather than spending money on huge advertising campaigns, casinos have now turned towards the simple yet effective medium of text messaging. Not only do casinos save a huge amount of money they also get through to customers on a more personal level. Text message marketing is an excellent medium for two way interaction. The common methods that marketers use to interact are question and answer sessions, lucky draws and chances to win prizes. When you get feedback from potential customers, the purpose of your campaign is fulfilled and you achieve success. Text message marketing is a fantastic medium for casinos. Marketers believe that this is just the beginning of this trend and in the future there is excellent potential for growth.